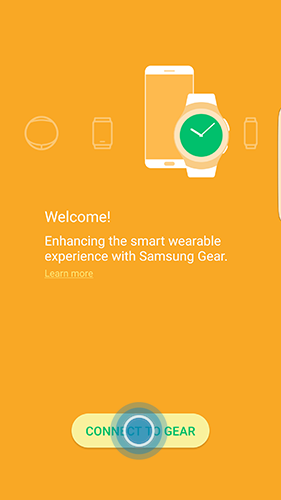 Gear Fit2: How do I connect my Samsung Gear Fit2 (SM-R360) with my Samsung mobile device? 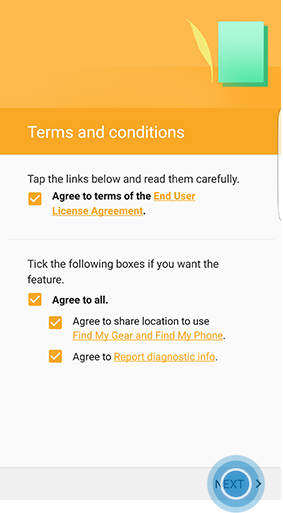 Connect your Gear Fit2 to Samsung Gear app on your mobile device to access all the functions and modify settings. 1. Open Samsung Gear app on your mobile device. 2. Touch OK to pair the your Gear Fit2 to your Samsung mobile device. 3. If you agree with the terms and conditions, mark the check boxes. This is required to use the Gear Fit2. Then touch NEXT. 4. You have an option to sign in to Samsung account. For this demonstration, touch SKIP. 5. 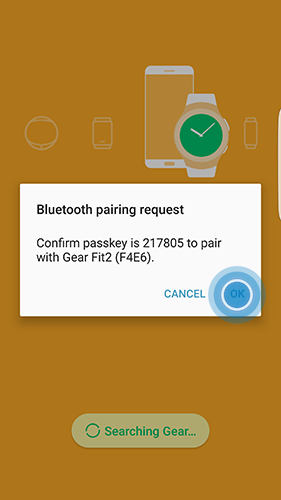 Now your Gear Fit2 is connected to the Samsung Gear app. On your Gear Fit2, you have an options to view tutorial. You can follow the tutorial instruction or touch SKIP. 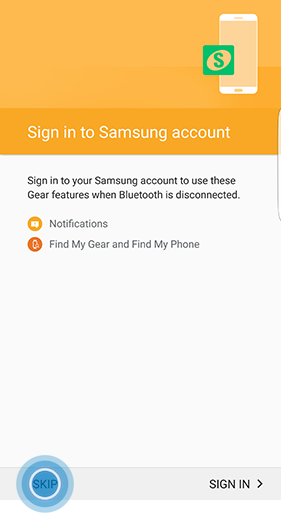 Gear Fit2: How can I remotely control my Gear Fit2 (SM-R360) if it is lost or misplaced? Gear Fit2: How do I download watch faces for my Samsung Gear Fit2 (SM-R360)?